RockNet is a real-time, low latency audio distribution network tailored to tour and installed sound applications. RockNet provides a universal solution to almost any imaginable audio distribution challenge and behaves very much like a traditional analog active split system. 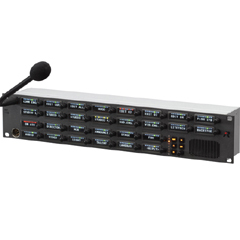 RockNet conveys 160 24bit/48kHz audio channels counter rotating on a single CAT5 cable. 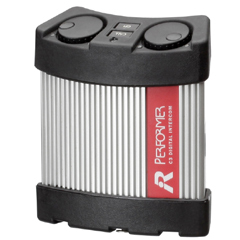 RockNet products are designed for heavy duty road use. Their ruggedized steel enclosures resemble the look and feel of a modular stage box. 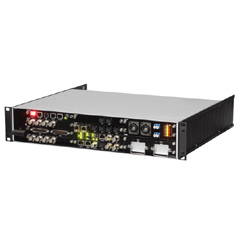 All the RockNet devices feature locking IEC connectors for the redundant power supplies. All other connectors are entirely gold-plated and the circuit design is streamlined to ultra low noise and minimum distortion to meet the highest demands in audio quality.